I came to landscape architecture later in my life, yet, in retrospect I can see that the roots of my journey to this profession stretch back far into my life. 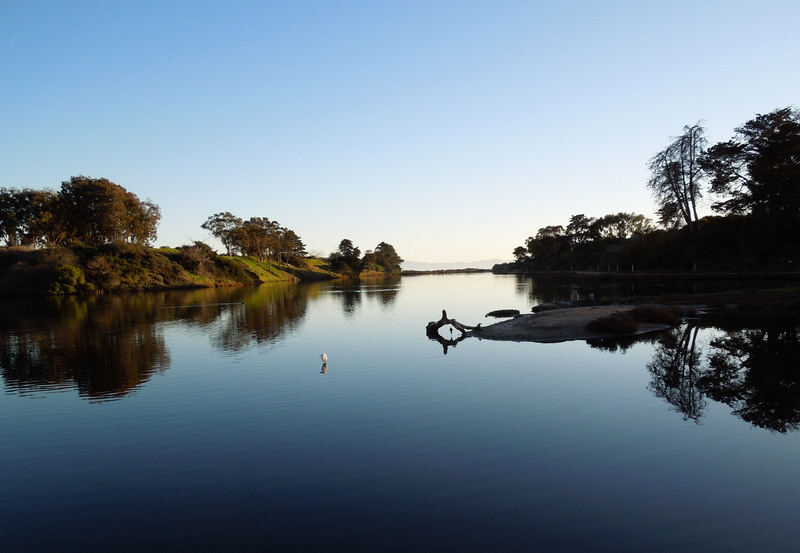 As a young girl growing up in Southern California, summer vacation meant two things to me: spending time with my friends at the beach, and exploring nearby expanses of undeveloped land on horseback. Fields of native grass under the shade of oak trees offered plenty of opportunities to canter our ponies and lounge on boulders where we dreamed of the life ahead of us. The invariably startled local wildlife – red-tail hawks, deer, and rattlesnakes – were common and filled our days with the adventure of discovery and the excitement of endless potential, emotions common in youth. I understand now that these early experiences laid the groundwork for my lasting connection to the land as a source of both comfort and personal growth. The outdoors, in essence, as home. Following a move east for college, I stayed on to pursue a career as a classical musician. While the New York metropolitan area has plenty of wild areas, I seldom made the time to seek them out. As I hit my mid-thirties and started taking a hard look at my musical career, I found myself once again seeking the solitude and space nature provides to ponder new career choices and grieve the passing of a dream. At this time, I was fortunate to have friends introduce me to New Jersey’s Rails-for-Trails system, a nationwide network of trails from former rail lines. Many of these repurposed rail lines once transported produce from rural farms to the states urban centers, such as Newark. Raritan River at the Ken Lockwood Gorge Wildlife Management Area. Creative Commons photo by Keith Survell. On bikes, these trails quickly took us through the state’s surprisingly diverse natural and built environments: through forests and swamps, across streams and gorges, through thriving towns as well as the skeletons of defunct industrial centers. With each passing mile, I felt this ribbon of land revealed an intimate and far more accurate window of the state’s communities and resources than those commonly seen on a street or from a car. The experience of the land as a window and a link awakened an interest. Curious and intrigued, I enrolled in landscape design classes. But it was a visit to Paley Park that brought me fully into the realm of landscape architecture. Listed consistently as among the finest urban spaces in the United States, I’m thankful that my initial introduction to this park was as an uninformed visitor. Located on 53rd Street in Midtown Manhattan and fully visible from the street, within steps into the park I was immediately struck by a pervasive sense of comfort and refuge from the city’s relentless, churning energy. I noticed too that elements, common within and outside the park, were used and achieved dramatically different results: intimate (urban) oasis vs. impersonal urban experience; soothing sensory stimulation (water) vs. sensory overload; material (rough nub of granite) as evoker of earth vs. material (granite) as impersonal walking surface; small space with spacious feel vs. small space with constricted feel. After relinquishing myself to the peace and calm pervading the Park, I left with a sense of wonder at the craft used to develop this small park with such an enormous impact. That was when I began my studies to become a landscape architect. What defines beauty in the landscape? The question is meant to be rhetorical, as I recognize responses will differ person to person. But for designers the question is an especially relevant one, as the exploration for beauty helps shape our work. I remember a particular moment when I sensed a connection with a particular landscape. I was in my early twenties and working in midtown Manhattan. As a typical New Yorker, I regularly weaved through the streets of the city in a rush, maneuvering through the throngs of visitors who, to my youthful annoyance, all walked too slowly. Didn’t they know I had a pressing “to-do” list to accomplish during my precious one hour break? Then one day, Paley Park stopped me in my tracks. Long before I learned about the profession of landscape architecture Paley Park made we aware of the nexus between landscape and architecture, an interstitial space designed by Zion & Breen Associates back in 1967. Paley Park is quite small, an outdoor space located on private property, but open to the public during the day. Much has already been written about the park’s success as an urban oasis, and I spent a lot of time there enjoying it as such. 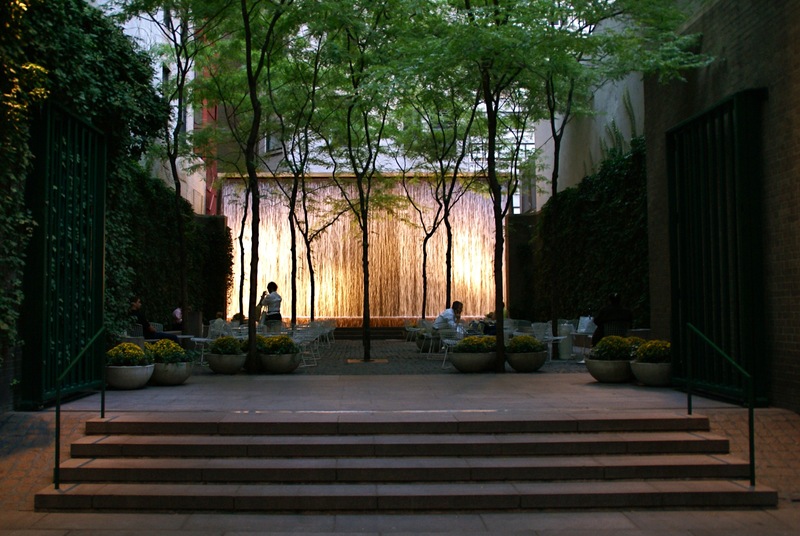 To this day I think about Paley Park during discussions about the design of public spaces, and I find myself searching for similar in-between spaces in cities I visit or live in. I am particularly drawn to these places where I can observe individuals enjoying quiet moments buffered from noises and the bustle of a crowded setting. I am sure that every landscape designer has their own Paley Park story. We turn to them not to duplicate their design, but to explore their success as places that connect us to our environment, whether that environment is a natural lagoon, a former industrial site (such as the location for Seattle’s Olympic Park), an abandoned railway transformed (e.g., Promenade Plantée in Paris), or even an urban alley.